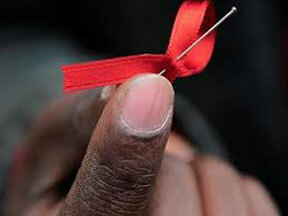 HIV, the virus that causes AIDS, is a virus without an agenda — anyone can contract it, and we are all on what medical professionals call the “continuum of risk.” Unless you’re talking about abstinence or masturbation, almost every sexual act falls somewhere on the risk continuum; and belonging to some social, ethnic and economic groups puts people at higher risk for HIV. At the nexus of many contributing factors (economic disempowerment, homophobia, racism, stigma, inadequate school systems and criminalization) are young gay men of color, a group considered by many in the HIV community to be facing “AIDS 2.0” — a second epidemic. As we enter the fourth decade in a world that includes HIV, and as our tools to fight HIV in those who are infected become more fine-tuned, many organizations and advocacy groups are turning their attention to what some are calling the “fourth wave” of HIV activism: widespread prevention advocacy. Attendees at this year’s Gay Pride March in New York City saw the AIDS Coalition to Unleash Power (ACT UP) declare an “HIV emergency” in the city. ACT UP cited projections based on statistics from the U.S. Centers for Disease Control and Prevention (CDC) estimating that more than half of young gay men and transgender women may be HIV positive by age 50 if trends persist. Members aboard a float shouted “1 in 2, could be you!” to onlookers. The Treatment Action Group (TAG) — which began years ago as a working group in ACT UP, and is one of the most recognizable names in advocacy for people living with HIV — has even turned its attention to prevention, realizing its essential role in ending HIV globally. Jeremiah Johnson is TAG’s inaugural HIV prevention research and policy coordinator, ushering in a new era of focus for the organization. Johnson, less than a quarter of a year into his new role, is aware of the challenges that lie ahead in advocating for those who are negative. “It’s going to be a very different beast, because there is a different set of community stakeholders in the U.S. that needs to be brought together to talk about this problem,” he said.